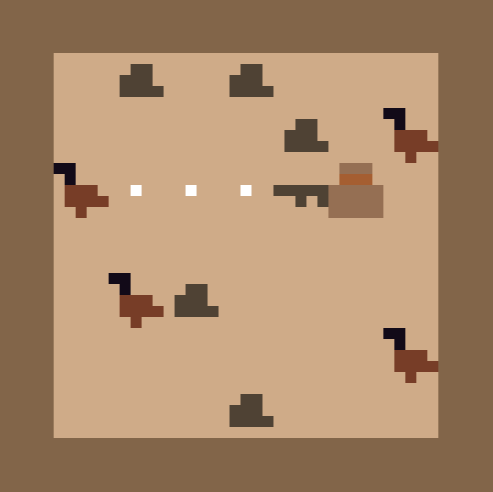 The Great Emu War is a puzzlescript game obviously inspired by The Great Emu War, an armed conflict between The Royal Australian Artillery and a bunch of emus. The Royal Australian Artillery lost, you might want to read about it. This game was made for my backers on Tipeee (a patreon-like). You can get it by tipping at least 2€.